Wow! 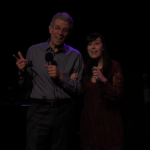 It sure was a lot of fun doing my latest cabaret on December 15th at the beautiful Triad Theatre. 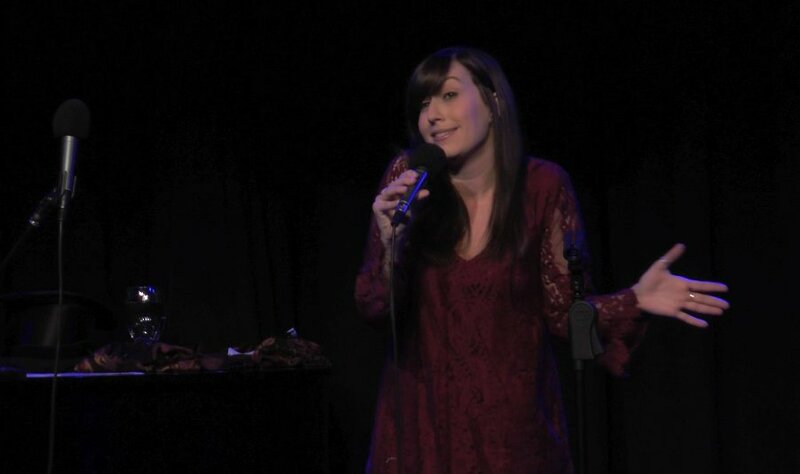 It was called “P-P-P-Paul and K-K-K-Katie” because I was showcasing the first New York appearance of the talented Katie Galuska. A great debut! We started our collaboration with a duet from the film “Annie” (which I actually appeared in!). Katie sang several wonderful solos as well, notably “Funny,” “Lady Is a Tramp,” “Never Fall in Love with an Elf,” and “Screw Loose.” The guest performers were Dana Mierlak, who sang “The Trolley Song” from “Meet Me in St. Louis,” and the surprise of the evening, Petie Subin, who sang a sequence of duets with me, including one of my all-time favorites, “Do You Love Me?” from “Fiddler on the Roof.” Once again we were graced by the musical direction and piano accompaniment of Dennis Buck. A group of my fellow Dartmouth classmates and some of my chums from the Lotos Club made the audience a very friendly one. We all had a great time! I’m already contemplating what to do next. Katie solo. She knocked ’em out! Petie and me singing a duet of “Do You Love Me?” from “Fiddler on the Roof,” one of my all-time favorite numbers. Ray Charles and the Raylettes. Or is it Diana Ross and the Supremes? Or is it Bing Crosby and the Andrews Sisters? Gladys Knight and the Pips? 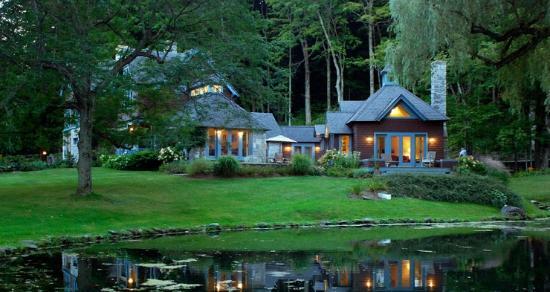 Last week, we returned to the Berkshire Hills for one more short vacation trip. It was three event-filled days. 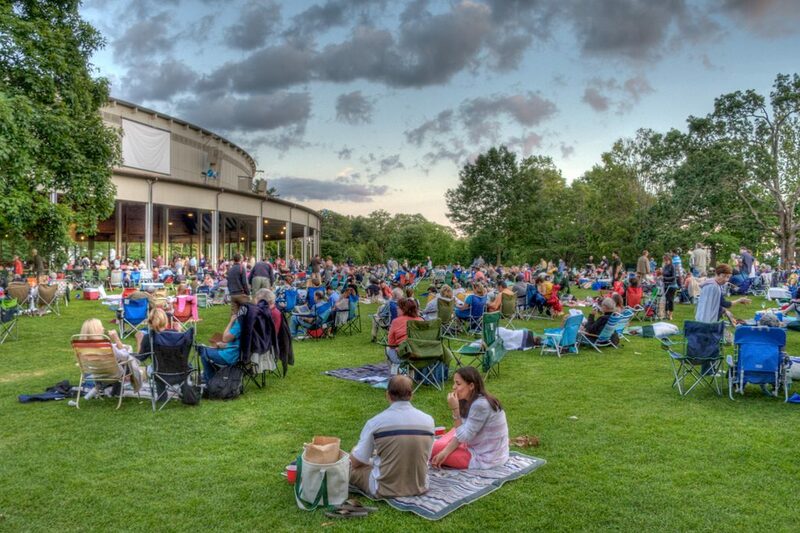 We arrived on August 27 in time to run to Tanglewood for the final day of the Boston Symphony season featuring a short Charles Ives number and Beethoven’s Ninth Symphony. The eighty person chorus joined for a rousing fourth movement, Ode to Joy. Tanglewood is simply incredible as the estimated crowd was nearly ten thousand people, including five thousand in the Koussevitzky Shed, and nearly as many on the lawn. Visitors on the lawn outside the Koussevitzky Shed. Last week’s crowd was even far more dense than photographed here. After a quick wine and cheese at our favorite bed and breakfast, Stonover Farm, we immediately went to Shakespeare and Company (no Shakespeare that night) to see two Edith Wharton “comedies.” Well, at least that’s what the management called them. I didn’t find them funny at all, indeed I thought they were poorly acted and directed. 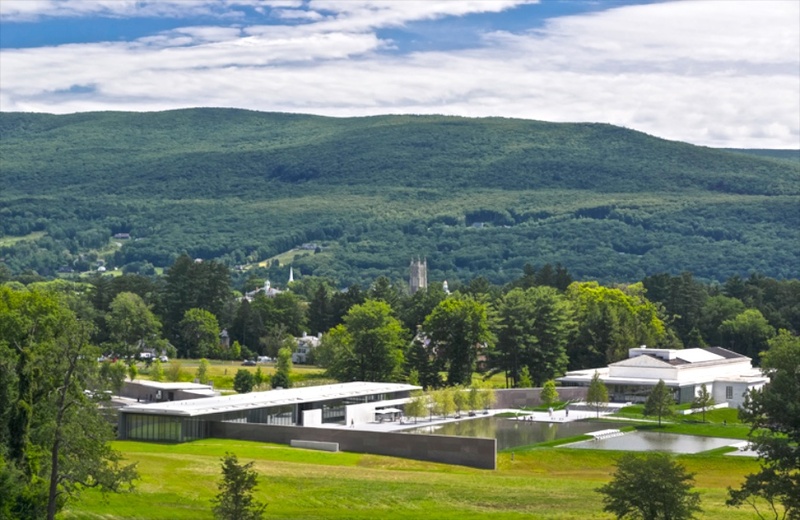 The next morning, after a delicious breakfast at Stonover, we headed to the Clark Museum in Williamstown, MA. The place is an absolute gem with a wonderful collection of impressionist paintings including many Renoirs. There is a current exhibit of Helen Frankenthaler. We ate lunch at the museum in a courtyard with a view of the extraordinarily beautiful property that surrounds the museum. Following more wine and cheese in Stonover, we ran over to Cranwell Resort to catch a performance of Capitol Steps,* Washington D.C.’s political parody singing group. There were several pieces that were howlingly funny [Cranwell has a beautiful golf course that I had played many times with my colleague and friend, Rob Libbon, thirty-plus years ago in the days when the Big Apple Circus performed in both Pittsfield and Great Barrington]. The following day we made a visit to the Norman Rockwell museum in Stockbridge, MA to see the current exhibition which matches Rockwell with Andy Warhol as representatives of American culture of their time. I was surprised that the comparison actually was stunning. Rockwell’s work stands out as probably the greatest example of artistic cultural leadership, it is simply extraordinary. I say that, growing up as a child, seeing the many Saturday Evening Post covers that Rockwell created. 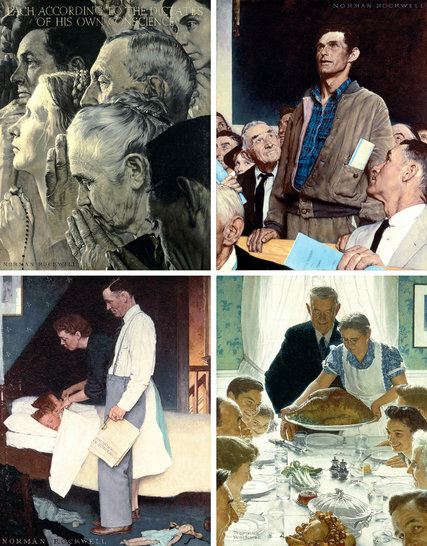 His rendition of Roosevelt’s Four Freedoms was a profoundly affecting education. Warhol’s vision was far less idealistic, almost grim by comparison and I found myself wondering, at this time in our history, which artist could be the next cultural leader on par with Rockwell? (Clockwise L to R) Freedom of Religion, Freedom of Speech, Freedom from Fear, Freedom from Want. Then we made a nostalgic trip to Great Barrington where the Big Apple Circus had performed in both Jennifer House and the fairgrounds, had a delicious hamburger, and headed off for dinner with old friends at Zinc in Lenox, MA, followed by a three hour drive back to New York City. What a wonderfully exciting three day visit! *Have a look at my next blog post about Me the People, New York’s very funny political parody show. It is a must see!! This past Wednesday night, I had the great pleasure of attending the Tony nominated musical, Dear Evan Hansen. It was an outstanding evening of theatre. How can I convey how unusual this show is? Let’s start with the simplest element, the costumes. They are contemporary. The characters you see on stage, could just as easily be seen walking down the street. The set and lighting are clearly married as one element. We see moving projections on screens (which are, sometimes, also moving) completely evoking the internet and social media. But, I’m not doing justice to how these visual elements effect our view as an audience. A good deal of the time, what we see on stage is very cold and alienating. BUT then, the characters on stage are emotionally rich, in contrast to their “stage” environment. Perhaps you can understand that from the photo (below). The music is contemporary, played by a small orchestra creating songs sung by actors on stage with excellent voices. 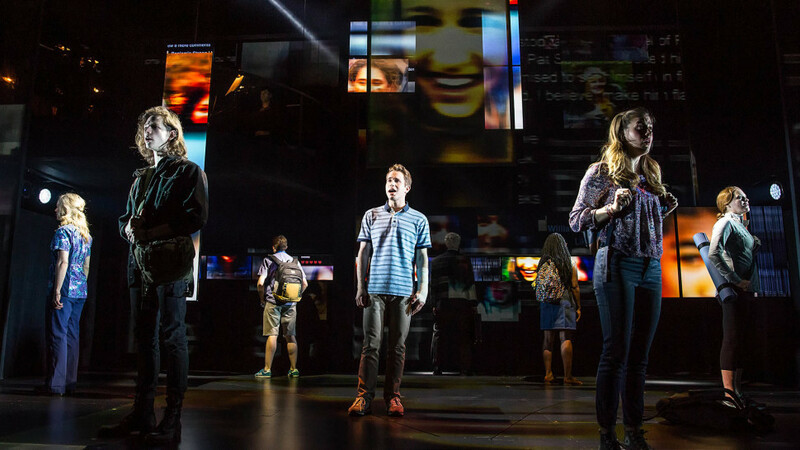 Particularly, the title character, Evan Hansen, is brilliantly portrayed by 24-year-old Tony award-nominated, Ben Platt. He is Evan Hansen, totally inhabiting the character. He actually sweeps us up into the emotional rollercoaster that Evan Hansen is going through. Whew! The cast of “Dear Evan Hansen” with Ben Platt center. This is an extraordinarily difficult ticket to get on Broadway, but if you can find a way, it’s absolutely worth seeing! 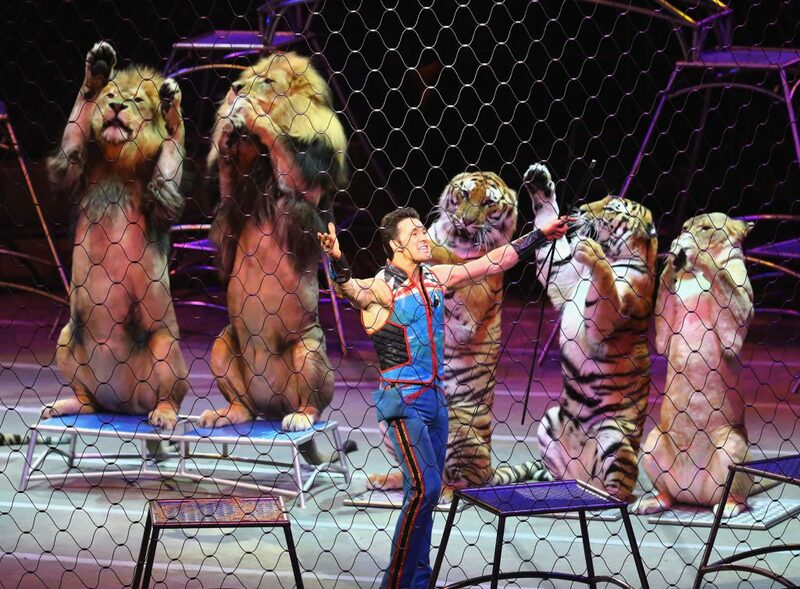 Big Cat Trainer, Alexander Lacey, performs one last time with Ringling Bros. and Barnum & Bailey Circus. Last night, May 21, I had the great honor of attending the final performance of Ringling Bros. and Barnum & Bailey Circus. It was a very special evening, which started with a moving tribute to his 50 years of stewardship of the Ringling enterprise by Kenneth Feld, the CEO. It was performed to a packed house at Nassau Coliseum on Long Island. The show spoke eloquently to 146 years of American history. There were a lot of great moments, but perhaps the greatest was saved for after the end of the show. Ringmaster, Johnathan Lee Iverson made an impromptu speech and invited all of the employees and their families from backstage to join in the arena and sing Auld Lang Syne. The NY Times quoted one ticket holder as saying, “…perhaps it will return, retooled and rebranded.” I join him in his sentiment. Posted by Paul Binder at 11:22 am	Tagged with: bar, ringling bros. I want to share with you a fun evening I had on Saturday, May 13. Shelly and I went to see the Bindlestiff Family Cirkus presenting A Cardboard and Duck Tape Spectacular!. This is terrific live entertainment! There are no weak members of the cast. Stephanie Monseu is her usual dazzling self as emcee and juggler. Keith Nelson is a true burlesque top banana. Ekaterina Skmarina a goofy aerialist and floor gymnast. Ivory Fox a very clever acrobat capable of doing a variety of things, she has wonderfully graceful movement with a touch of comedy. Jared Kuchler is a multi-talented juggler, his specialty is a cigar box routine. All of this accompanied by Peter Bufano’s original music on accordion, with Jeff Morris and Nate Tucker. The production was directed by our good friend Joel Jeske who will star in the upcoming Big Apple Circus. What’s my review? 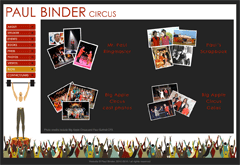 Bindlestiff is a very clever variety arts theatre. So, if they’re ever in your town or mine, go see them! ­I met Glenn Close when I worked on the Broadway musical “Barnum.” I had the task of teaching her (as Barnum’s wife) to juggle….while she was singing..in a special light. Years later, she volunteered to write the foreword to my book, Never Quote the Weather to a Sea Lion. She was a regular attendee at the Big Apple Circus and I never missed anything, movies or shows, in which she performed. 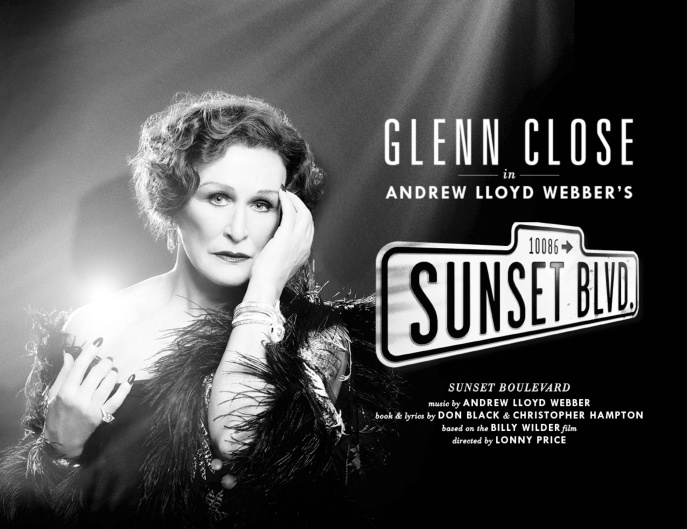 Last Friday, Shelley and I went to see Glenn star in Broadway’s Sunset Boulevard. Ben Brantley of the New York Times called it “One of the great performances of this century!” A powerful artist as I’ve always known her, Glenn gave an exquisite performance that evening. Her range as an actor is enormous as is her singing voice. We felt honored that she kindly invited us backstage after the show for a long overdue catch-up. I wouldn’t be talking out of class to reveal to you that this great star is a warm, open-hearted and generous person and I take great pride in calling her, friend. The Circus Spectacular, performed at the vaudeville gem Latchis Theater, was a gala to raise money for a new building under construction for the school, as NECCA’s popularity grows and their facilities expand. I was happy to participate in this wonderful venture! And what a blast, to spend a few days onstage and backstage with these performers. The acts included NECCA’s Advanced Youth Performance Troupe opening the show with a charivari, Alicia Dawn on the cloud swing, Jan Damm & Ariele Ebacher’s eccentric partner acrobatics act, and Liv Morrow on aerial straps. Jan Damm reappeared in the second half on his rola bola, along with Molly Graves on aerial rope, “Kinetic Kristin” Leophard performing on the cyr wheel, with Ariana Ferber Carter, a Vermont local, sharing her contortion act. Mario Diamond, a mime from Quebec who has performed on five continents, had two performance slots in the show. 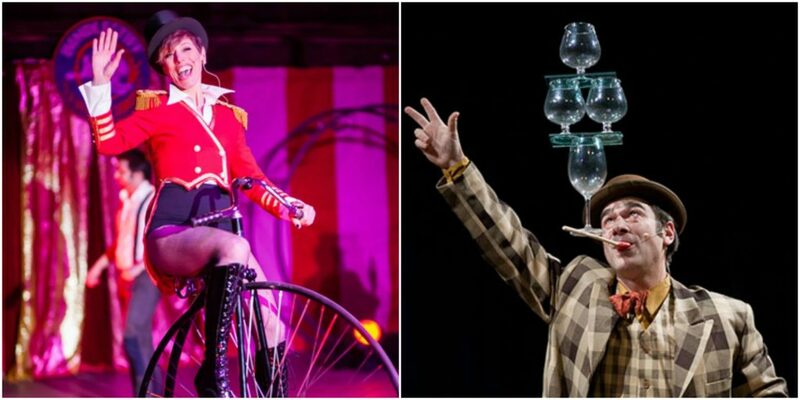 They were true circus folk, who had performed with such companies as Ringling Brothers, Barnum & Bailey, Cirque Eloise, Cirque du Soleil, the Bindlestiff Family Circus, the New Pickle Circus, and Vermont’s own Circus Smirkus. Troy Wunderle, the Artistic Director of Circus Smirkus, performed a beautiful version of the breakaway bike (you might remember this act from Justin Case at the Big Apple Circus). Rounding out the performances were hand balancer Marieke Dailey, Doug Stewart on aerial rope, a juggling duet by Tony Duncan & Melissa Knowles, and the identical twin sister and co-Artistic Directors Elsie and Serenity on double trapeze. 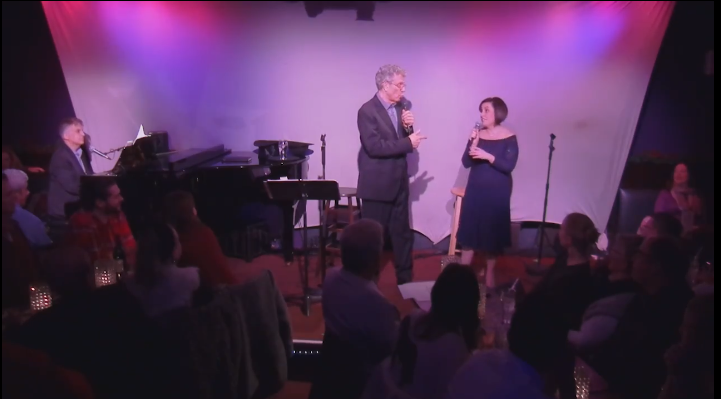 I had a ball on Friday night at the Metropolitan Room performing in my new cabaret THE TALL AND THE SHORT OF IT with dazzling singing partner Dana Mierlak. 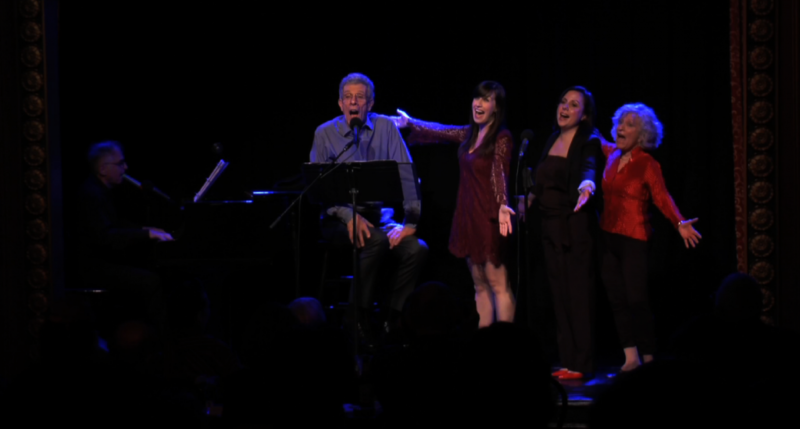 In addition to performing a few of old favorites, we threw in a few new solos, including my interpretation of “Try To Remember” and her show-stopping rendition of “The Girl In 14G.” I loved working with her. The duets that we did were the highlight for me. We’re two lost souls, on the highway of life! Me doing what I do best — announcing! 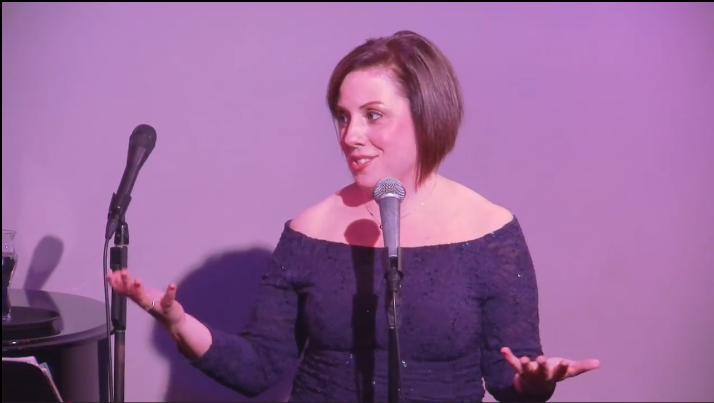 This was the second time I’ve performed at the Metropolitan Room. 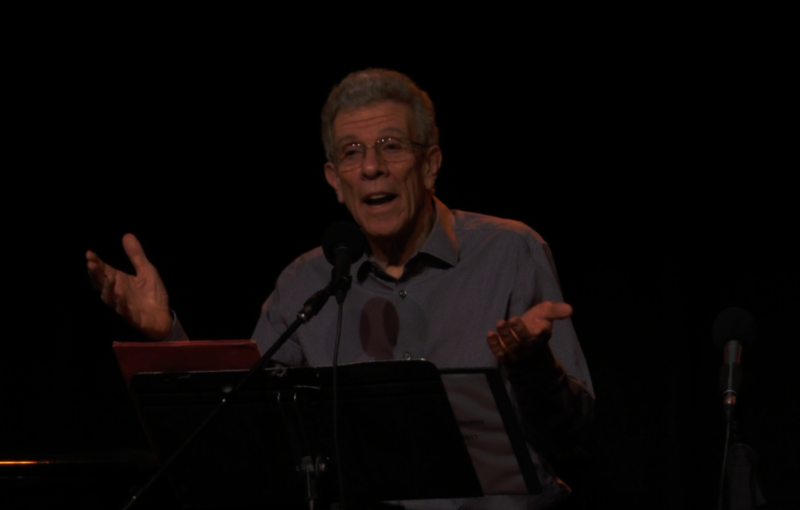 Last Year, we threw a sold-out benefit performance of PAUL BINDER RISKS HIS LIFE, and this year it felt like coming home to perform in a familiar space. Last year, I thought to myself, “Gosh, this would be great to do again.” And lucky me, I did! The new show provided a unique format for myself and Dana to share stories about how “it’s difficult to be tall” (Paul) and “…average in stature” (Dana, 5 feet in heels). She’s also half my age. As always, it was a pleasure to perform with Dennis Buck, our brilliant accompanist. 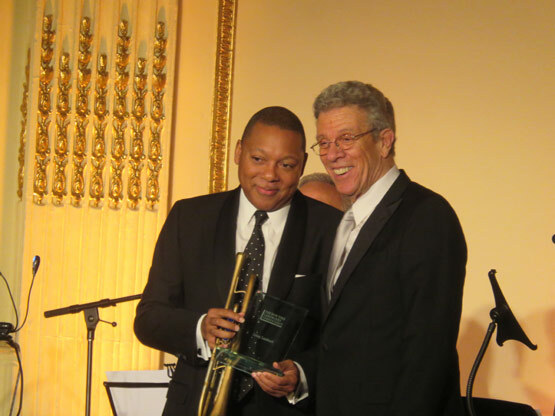 Dennis’ immense skill and musical acumen make him invaluable on and offstage. I hope you were lucky enough to join us, and if you weren’t, I hope you can come along next time! 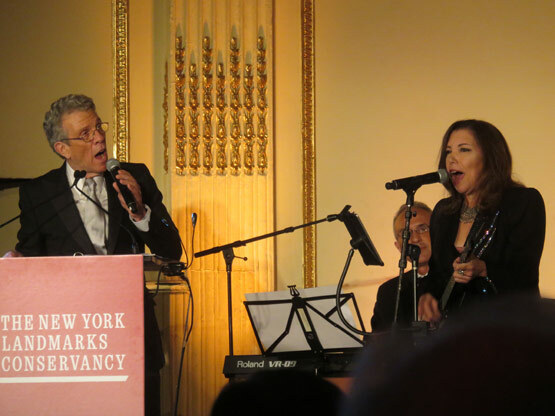 This past Wednesday, November 2nd, I had the immense pleasure of emceeing the New York Landmarks Conservancy’s annual Living Landmarks Gala at the Plaza Hotel Ballroom. 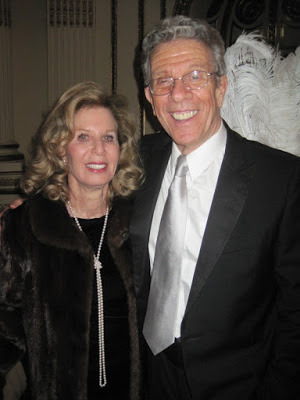 This is special for me because, as many of you know, Michael Christensen and myself were honored by the New York Landmarks Conservancy in 2002 as New York City “Living Landmarks” for our work with the Big Apple Circus. 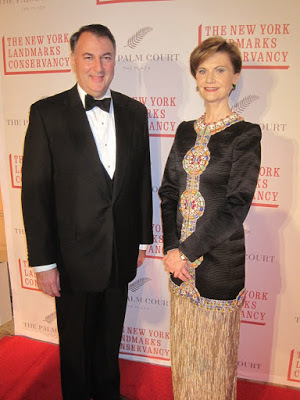 At the time, Liz Smith was the emcee of their annual Gala at the Plaza, but last year she passed the baton on to me. I’m honored to do it once again this year. It’s a thrill! Not everyone has the opportunity to attend the Living Landmarks Galas, but all of you can come to my next cabaret performance! 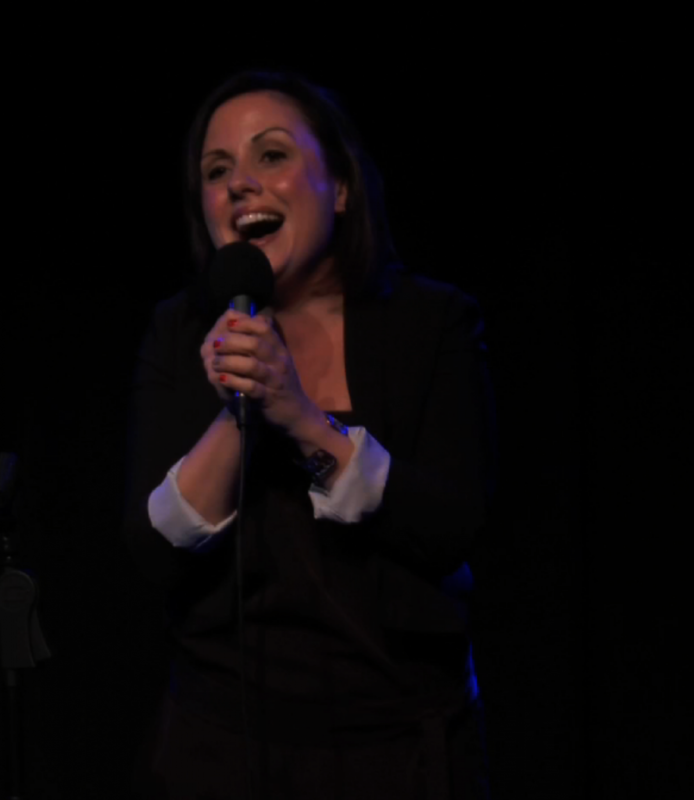 It is a ONE NIGHT ONLY event at THE METROPOLITAN ROOM, on DECEMBER 2ND at 7PM. 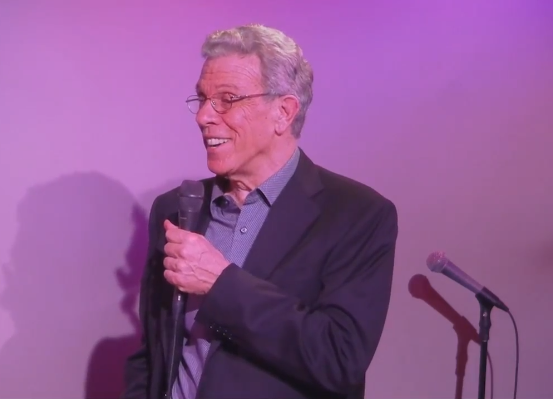 After a successful benefit performance of PAUL BINDER RISKS HIS LIFE at the Metropolitan Room last year, we’re bringing a new cabaret: THE TALL AND THE SHORT OF IT! I will be joined by the dazzling Dana Mierlak in the new show THE TALL AND THE SHORT OF IT. 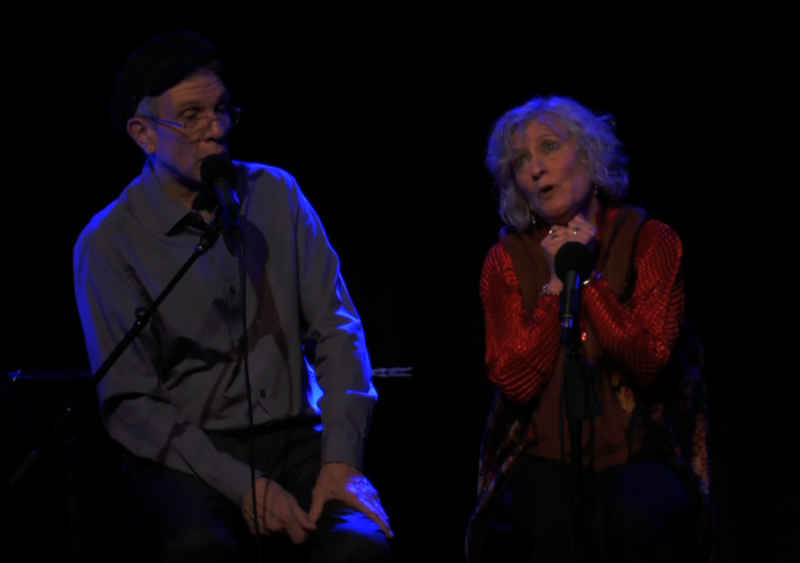 We will share a few songs, a few stories, and a few jokes about how “it’s difficult to be tall” (Paul) and “…average in stature” (Dana, 5 feet in heels). We can’t wait to see you there! Tickets are available here. It’s become a tradition for the Dartmouth class of ‘63 to have a mini-reunion every August in conjunction with Tanglewood on Parade in Lenox, MA. Seeing and listening to the Boston Symphony Orchestra and the Boston Pops Orchestra is a truly wonderful experience every year. This year they performed a contemporary piece called “Night Train to Perugia” by Michael Gandolfi. It was actually commissioned by the BSO and premiered at Tanglewood on Parade a few years back. The Orchestra also performed a harp concerto by Mozart, and the Tanglewood Music Center Orchestra performed Ravel’s La Valse. All of the musicians in the Tanglewood Music Center Orchestra are less than thirty years old, and they are fantastic! 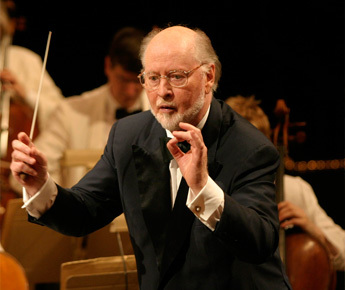 One of the true joys of this year’s show was John Williams conducting the Boston Pops. You know, John Williams is no kid anymore. He did several pieces including a suite from The BFG, which is his latest project, once again united with Steven Spielberg. Before leading the Pops in a song from the new Star Wars movie, he took the microphone and said, “As a composer for the movies, you have to understand that you never know what the movie will actually sound like once special effects gets ahold of it … with all the gunfire and the zooming and the booming. So it is my pleasure to present this scene WITHOUT the special effects.” He got a standing ovation upon both his entrance and exit. At eighty-four years old, he still has his talent and humor. 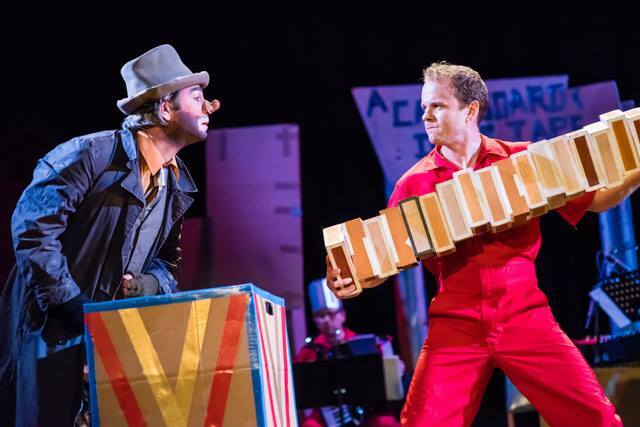 A little treat for you (and for me) if you haven’t read my post about Tanglewood from last year: in the second part of my blog entry, I recount the time that the Boston Pops joined the Big Apple Circus, and there’s even an old video of me conducting them in full clown regalia. It’s definitely worth a watch … or two (or twenty-five!). 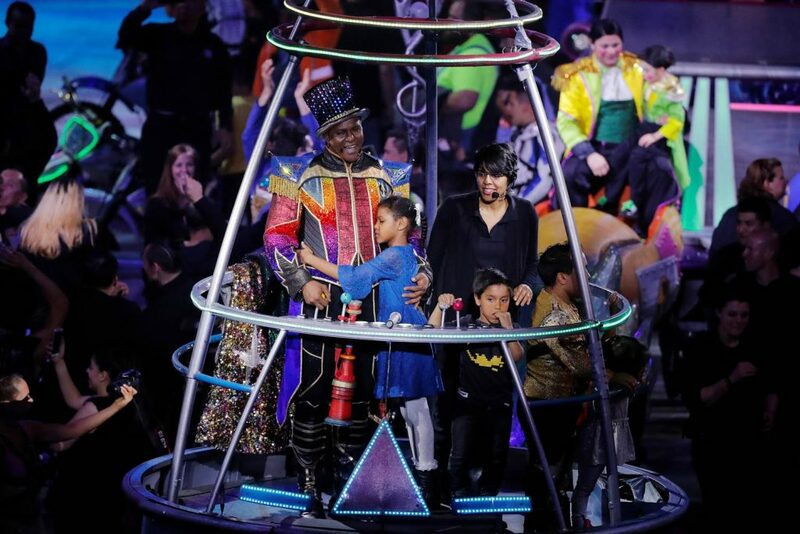 “Pops Joins the Circus” is surely one of my finest memories of 30+ years at the Big Apple Circus.